Spil Dansk Dagen 2018 - let's celebrate with a playlist! Here at Good because Danish every day is Danish music day, but the nation celebrates it annually in the end of October. 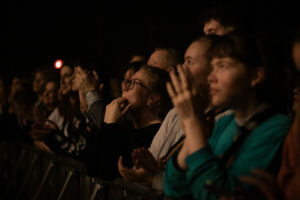 Over the past few years, however, the day has evolved into Danish music week, with many events taking place throughout the country in week 44. 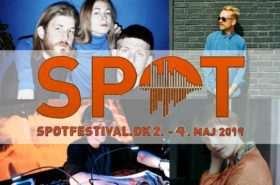 Behind those is Spil Dansk, a project that aims to develop, support and increase visibility of musicians, songwriters and producers from Denmark. 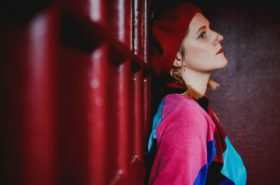 Turns out, artists singing in Danish find it especially hard to break through due to the algorithms of streaming services and competition with international players. And that’s why we have prepared a long playlist that is exclusively in Danish. But before we start, did you know, that according to a research from Roskilde University, only 7,3% of Danes actively seek new music? We’re committed to increase that number not just for the Danes but for all of our readers from all over the world who also find the Danish language so beautiful. It’s only fair to open the playlist with recently passed away Kim Larsen, whose impact on the Danish music and culture as a whole, was simply invaluable. The cheerful “Hvis Din Far Gir Dig Lov” (eng. “If your dad gives you permission”) comes from Larsen’s iconic debut album “Værsgo” (1973), which is essentially the sound of childhood for many Danes. As a listener of this playlist you’ll be constantly jumping back and forth in time, revisiting the classics of C.V. Jørgensen and Lars H.U.G, as well as hearing artists who are shaping the music scene as we speak – energetic Karl William, melancholic TÅRN and ever so ingenious Bisse. 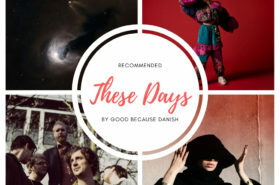 Make sure not to skip the unfamiliar tracks – alongside the radio hits there are fantastic up and coming Danish bands. Pay special attention to Dusin, Franske Piger, Barselona and De Lyse Timer. And we will not only travel in time but take a journey through Denmark as well, starting from “Nordhavn Station” in Copenhagen with Magtens Korridorer, then with just one stop we’ll arrive to Juncker’s Nørreport. If you get off in eastern Jutland, perhaps you’ll meet “Pigen Ud Af Aarhus” (eng. “the girl out of Aarhus”) as introduced by Tina Dickow, and explore the home city of Gnags, another iconic Danish band. But stay on the train for a bit more, and you’ll find yourself in the northernmost point of the country – the wonderful town Skagen, which also happens to be the title of a beautiful sad song by Marie Key. Don’t miss your train back home and especially “Poetens Sidste Tog” (eng. “The poet’s last train”) by Folkeklubben. Speaking of poets, your journey will be concluded with “Verdenssøn” (eng. “Son of the world”) by Nikolaj Nørlund, which is actually a poem by Michael Strunge – one of the most significant Danish poets of the 80’s. With quite a variety of genres, we hope that you find a song that you really like – make sure to tell us which one it is and don’t forget to share your favourite Danish music with us too. Spil Dansk Ugen 2018 will last from 29 October to 4 November. For more information about the project and a list of local events, visit their website.